DAVID LE/Staff photo. 6/22/15. 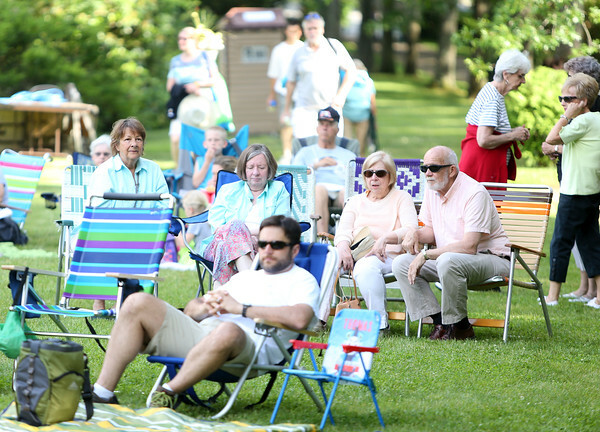 Many people brought lawn chairs and picnic blankets to sit on and enjoy the music by band Don't Call Me Shirley, at the Danvers Family Festival event History, Harmony, and Hot Dogs, held at Glen Magna Farms on Monday evening.